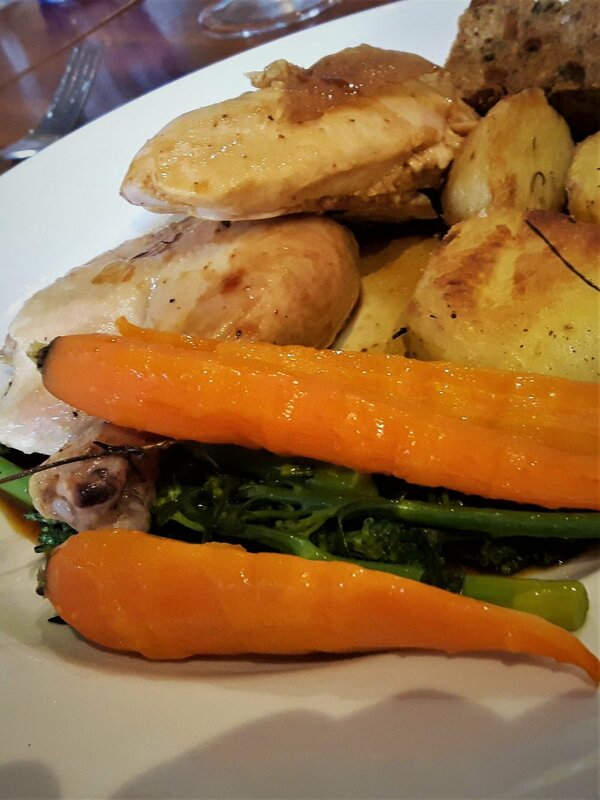 We are so proud to use the best that we can in all of our lovely cooking, serving the best we can in our great Kibworth Restaurants . . . and chicken is no exception. Label Anglais was born in 2001 in Essex by Chris Fredericks, who set out to reproduce a British version of the French Label Rouge Chicken. The emphasis was on high welfare, slow reared, cornfed chickens. Fifteen years later, the Adlington family took on the mantle and their passion for high-care rearing standards means that the Label Anglais brand is safe. The chickens are slow-bred, reared outdoors in small groups and have free access to large grassy areas, they enjoy a 100 % plant-based diet, free from artificial supplements, sugars and other additives, and live a free-range life, scratching around their fields. The result of this high-care philosophy is remarkable and reflects in the cooking. In today’s modern culture of accountability, environmental issues, carbon footprints and animal welfare, we are happy to sit with some of the best in Britain, serving the best we can to our customers. In our quest to keep it local . . . and these days I feel more and more impassioned when it comes to all things eco, pure and good . . . good for us and good for generations to come if we can reduce our carbon footprint. So, how happy are we to be using the fabulous milk from Kingarth Dairy, just around the corner in Burton Overy. The Barbour family have farmed and milked cows in Burton Overy for over 100 years. 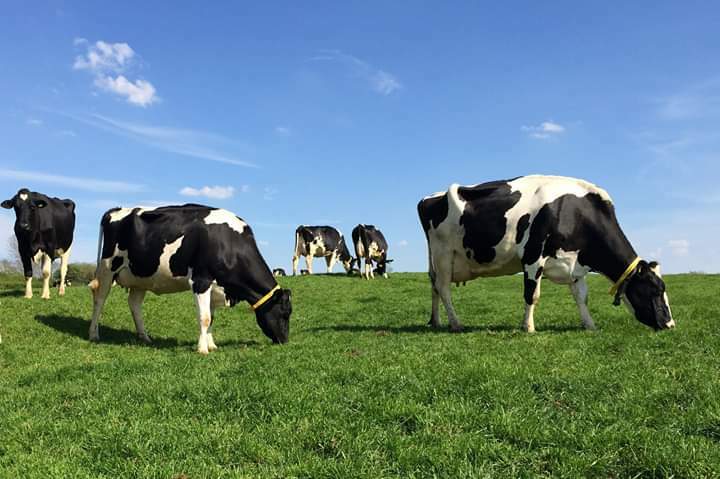 They say, “from grass to glass in three hours”, and it certainly seems that way, non-homogenised, super creamy and from beautiful, happy, pedigree Holstein cows, grazing in the fields just around the corner from our front doorstep. Happy cows mean happy milk and rather amazing cream too. Our Cappuccinos have never been so good . . . and our Floater Coffees have taken on a whole new level of delicious indulgence . . . sorry to the skinny lovers, but this is really too good to miss. The pasteurisation process is extended and at lower temperatures the good bacteria in the milk is retained and therefore is a more healthy option, even if it’s not semi-skimmed! The benefits are also apparent in the cooking, Carbonara and Panna Cotta are a must with the improved quality of our dairy products. We love supporting our local community especially when the benefits to our food are so apparent too! Come and see for yourself, but take a detour through the fields and say hello to the Happy Cows at Kingarth Dairy too!